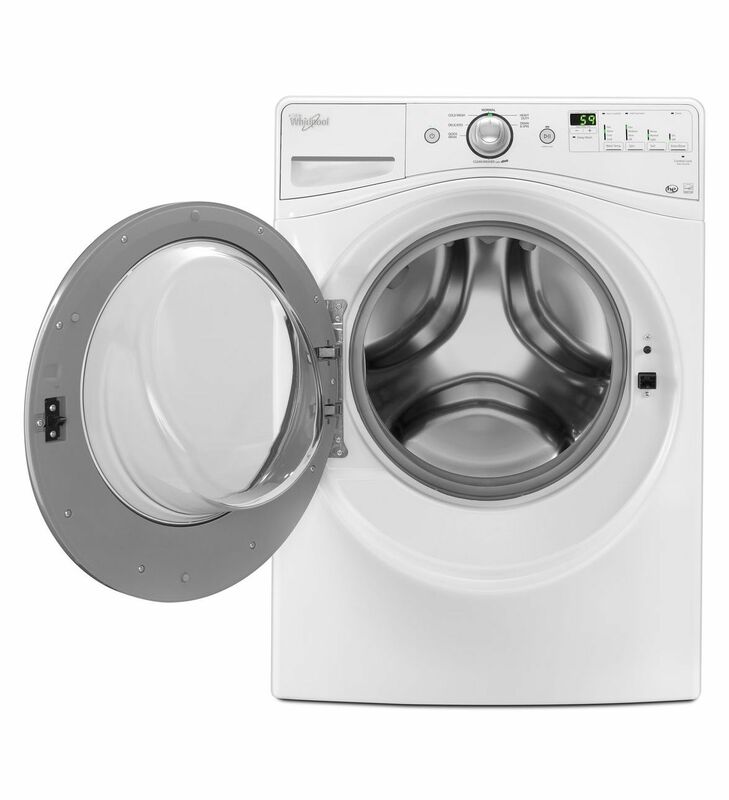 Spend less and provide the best laundry care for your clothes in its class with the 27" Front Load Whirlpool® Duet® 4.1 cu. ft. washer. Gently lift stains and soils from fabrics with the Cold Wash cycle which uses adaptive wash actions and a concentrated solution of HE detergent and cold water. Using the money saving cold water cycle protects fabrics from heat damage, while using less energy and delivering great cleaning performance. The Adaptive Clean wash system with Precision Dispense will also keep your clothes looking newer longer by creating the perfect mix of detergent and water to penetrate fabrics and virtually eliminate pretreating. Based on the Consortium for Energy Efficiency qualified product listings--with Tier III being the most efficient. This model features advanced water & energy savings and may qualify for rebates from local utility companies.